Fancy plywood is the general commercial term for a kind of plywood that is laminated with tropical hardwood face. The face is specially made and with very attractive appearance. The use of this type of panel is for decoration and furniture making. It is made with best grade of material and is top grade ply. The difference between commercial plywood is fancy ply has more expensive faces which is quarterly cut. Commercial ply comes with faces like okoume, bintangor, pencil cedar which is used for general use like sheathing, roofing, doorskin, etc. The fancy plywood sheet is manufactured with veneers like burma teak, sapele, ash, red oak, walnut and so on. Usage in furniture industry or high end decoration is common. 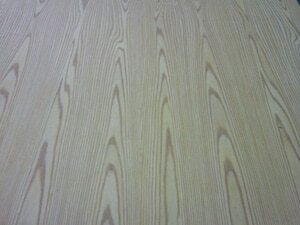 We own a state of art factory making plywood with specialty plywood with good looking hardwood veneers. Our laminated technology is one of the best in China. As a manufacturer of plywood in china for many years, we have been exporting teak, ash, sapele plywood to middle east and africa for more than ten years. Our goal is to be the number one exporter in China. We make good quality plywood sheet for customers with good before sales and after sales service. Customer satisfactory and win-win is our sucess and our eternal goal in business. We look forward to work with plywood distributors world wide. If you need new products we can cooperate on product development as well.